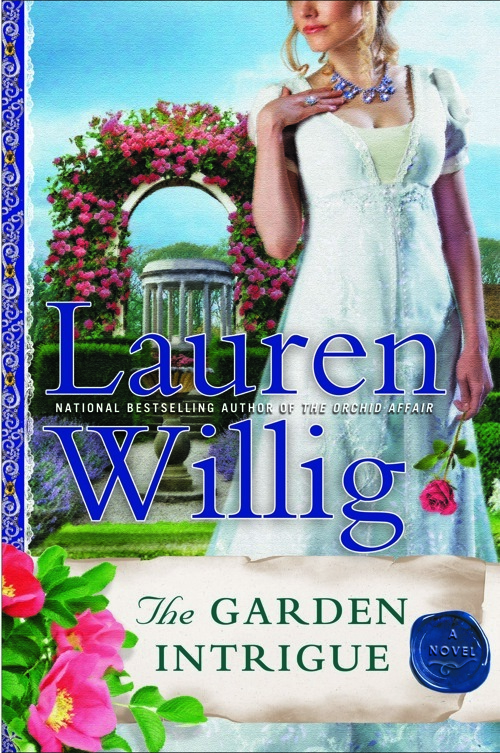 Just in time for the post-Valentine’s Day chocolate hangover, THE GARDEN INTRIGUE is the latest novel in the nationally bestselling Pink Carnation series by RITA Award winner Lauren Willig (Dutton, On sale: February 16, 2012). In this ninth installment, long-time readers and newcomers alike will be delighted to meet a character sure to become a fan favorite—a poet whose fervent ardor leads him to declare his feelings for the Pink Carnation in atrociously overwrought verse. Lovable modern day grad student Eloise Kelly is back and on the trail of the Pink Carnation when she discovers a wretched poem among the papers of a code book. Poetry penned by the notorious fop Augustus Whittlesby for Jane Wooliston (aka the Pink Carnation)—Eloise can’t help but wonder; can anyone really be that bad of a poet? Or is something else hiding behind his putridly saccharine words? Back in 1804, New York born Paris socialite Emma Morris Delgardie doesn’t think so. She’s too busy sipping champagne to notice Whittlesby’s strange interest in a top-secret device Napoleon has commissioned. Unfortunately for Emma, she’s the poet’s entrée into the emperor’s inner circle. Fortunately for Augustus, this plucky American heroine could turn out to be his true muse. The perfect addition to a much-beloved series, THE GARDEN INTRIGUE will leave readers clamoring for more of the spunky Eloise Kelly and the ever elusive Pink Carnation. 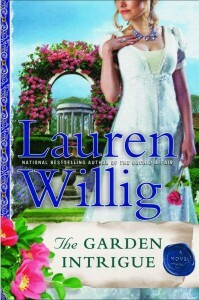 Lauren Willig is the bestselling author of eight previous Pink Carnation novels. She received a graduate degree in English history from Harvard University and a J.D. from Harvard Law School, though she now writes full-time. Willig lives in New York City. For more information about Lauren and her work, please visit her website, laurenwillig.com.